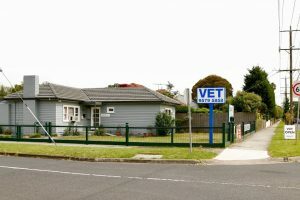 Need a Local Vet Open Now ? Firstly, call us ! We are your caring local vet open now. Just call us on (03) 9579 5858 any time 24 hours, seven days a week. 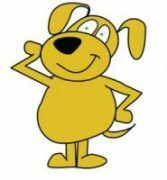 If you need urgent assistance our on-call vet will either take your call after hours or will call you straight back. Our on-call vet will discuss your needs with you and either arrange a visit to our modern clinic or a house call if it is needed. Secondly – make your own appointment ! If you don’t mind using the computer or your mobile phone you can actually book your appointment with our clinic directly into our calendar. Just click on the Book Now button below and you will be able to see free appointment times. All you need to do is create an account with us using your email address and a password. Then you are into our appointment system and just choose one and you are ready ! If there are any problems we will call you to reconfirm, but otherwise if you have booked, you are ready to go !! When Can You See Us? We are your local vet open now. Our clinic hours and days listed below. But remember we offer an on-call veterinary service 24/7 – just ring our number after hours and we will discuss your needs with you. We will discuss the best option for your circumstances – an immediate house call or a next day appointment at our clinic. There’s an extra charge for house-calls and also after 10:00 PM but sometimes it is worth it for the peace of mind.